The strongest part of the Android operating system is its latest apps for android phones. I think there are no boundaries at all for best free android apps and some of them has been downloaded billion times. All I love to in android app system is its user flexibility and the total process started from downloading till its install. I found lots of incredible apps games are free but they have also paid option for paid android application. Paid apps will give you more features than free apps. 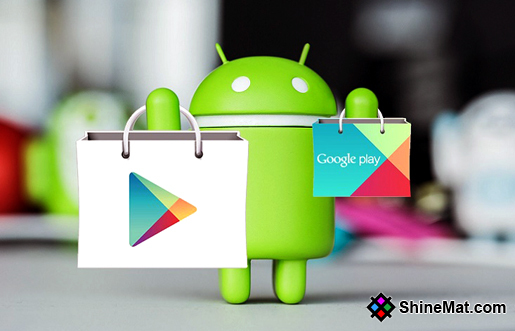 In this post, I am going to share with you android's 10 most exciting apps including free and paid version. 1Weather is a smart app that offers you to get all weather information in one place. The developer of this app is OneLouder Apps. You just need to turn on your location and then you will be getting all weather information wherever you go. You can download this best free apps android for free but if you want to remove advertisements then they will charge you $1.99. AppLock is a popular and top android app to protect your device’s other applications with a security password, pattern and finger lock. AppLock authority said, over 200 million globally using this app and its most downloaded app in the security section. You can lock facebook, gallery, settings or anything you want. I trust this smart security to prevent unauthorized access by strangers. You can get this app both for the free and paid option. Gborad is a Google’s official keyboard app and it is totally free for use. It supports gesture typing, voice typing, Multilingual typing, Google Translate, and emoji search, GIF supported. It also has a built-in Google search. In typing section, this will be the best download android apps for all time. The more attractive fact is Gboard supports more than 120 languages. In antivirus section Malwarebytes Anti-Malware selected as best android antivirus app. It can detect malware, spyware, and Trojans. It can scan your whole Android device from root to all apps. Malwarebytes Anti-Malware can identify those apps that directly or indirectly track your location information. All necessary updates will be installed automatically over WiFi network. World’s best free photo gallery app is Google Photos app. It offers unlimited storage for all kinds of pictures so you can be tension free for storing your photos in a safe place. The smart Google technology automatically recognizes peoples, places and other things that should be tagged with your photos. You can edit your photos using this app. Really, this is one of the best android apps in the Google platform. This app is very popular in the Android app store. DO YOU KNOW: How To Format Write Protected USB Drive? MX Player is a best video player that supports almost all kinds of video formats. Only MX Player has advanced hardware acceleration, multi-core decoding and subtitle supporting options. It also supports swiping zoom and crop options. To prevent unwanted tap which can interrupt entertainment MX Player has kid lock option. This android app development company name is J2 Interactive. In photography category One Camera is a greatest android app ever. It supports lots of manual settings. Open Camera android apps free to use. This nice app is offered by “Mark Harman” and from play store, it has been downloaded more than 50,000,000 times. I would suggest using this app for capturing your photos like a pro. Google Drive is an app created by Google Inc. It offers to store your files like anything and allows to access from anywhere around the globe. Your all stored files will smartly safe in Google’s high secured server. This means you will never lose your any files until you delete them. If you wish, you can easily share your any files with anyone to view, edit or comment. I think this app is one among the top 10 must have free android apps. RECOMMENDED: How To Host Web Scripts Or Files On Google Drive? In Music and Audio category I think Phonograph is the best because of its material design, easy user interface, multi colors and user friendly customizable options. This player automatically downloads some information about songs such as artist images, lyrics, and other additional details. You can also edit the song’s tag easily. Phonograph also supports creating playlists, widget to home screen, background play and headphone controls. Again it is Google. Google Maps is my favorite app in travel and local section. No doubt Google map is just genius. I think if you have Google map in your pocket you will never lose your road direction. You can search for any important places locally and globally or near you like hotels, restaurants, ATM’s, Banks, Police station and almost everything. I can’t explain all of its features in this post. Google Map is your personal road and location assistant who can guide you like a loyal local friend no matter where you are. Well, these are the top ten and the best free apps for android phones and I hope that you will try them out at least one time. Trust me, like me, you will love them too so be happy to android app download. Make your life easy and tension free by using above top 10 android apps. If you need any particular app or anything regarding Android software update that is not listed here simply comment us. I will try to give you the best solution. At last, I am taking your leave and hope to see you in next post. Stay well and Allah Hafez. I enjoyed this post. Keep writing Saimoom. Android is really wonderful device and its all applications also. Wonderful compilation of some of the best and useful Android apps. Apner Website Dhaklam. Chalea Jan.
@ Shahnewaz Rahmani "Thanks for your nice comment. I am using Bidvertiser just for testing. I'll apply Adsense ads very soon. Stay close with Shine Mark"
I have one more interesting app - it's not and ad :) all-in fitness. As I'm fond of exercising, this app is good. I have it in my top 10. I use "TweetCaster" App on my android based smartphone for better Social Networking.